FFWD’s pop-up shop in Saudi Arabia helps to nurture talent in the region, as it promotes, celebrates and advances the Middle East’s fashion industry. 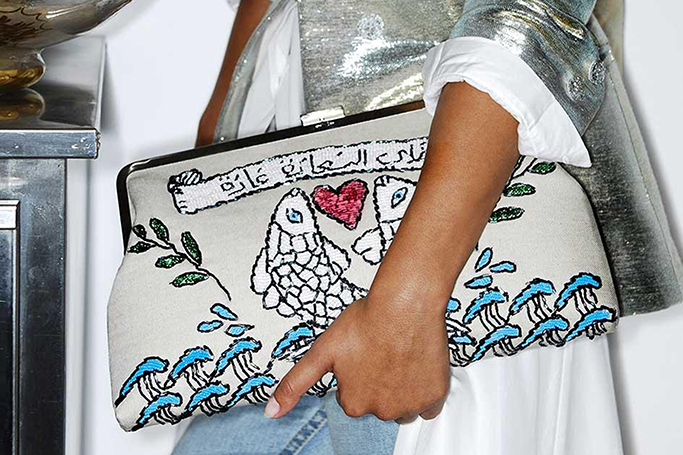 The store includes collections from Saudi designer Arwa Al Banawi, as well as other regional designers such as Anaya, Atelier Zuhra, Baruni, Beige, Bint Thani, Hessa Falasi, Lama Jouni, Nasiba Hapiz, Sara Altwaim, Shahad Rehaimi and Sarah’s bag. Endorsed by the Dubai Design & Fashion Council and supported by Dubai Design District, Fashion Forward is dedicated to supporting the fashion ecosystem in the Middle East. FFWD co-founder and CEO Bong Guerrero explained “We were thrilled with the success of the designers in last year’s pop up and are enthusiastic about the opportunity to continue nurturing our designers in growing retail markets, such as KSA.” With the store expected to grow even further from its first edition in June 2017. The Fashion Forward Dubai Pop-Up Shop is showcased at Rubaiyat department store, in the Stars Avenue Mall in Jeddah will run from 25th May to 15th June –check it out!